The newest version of the Nexus client is availible for testing. It has significant improvements. We have also added more in depth documentation for Nexus at http://nexus.ironrealms.com. We have been using and testing it regularly, so it should be safe. However! You will want to back up your settings before trying, just in case. Alternatively you could create a new character. If in doubt, just wait for the full release, which will be in the next few days. The highlight of this release is Simplified Scripting. You can now point, click, and drag to make new reflexes without needing to know how to code. You simply need to make an alias or match text from the game and add actions to that reflex. We have done a lot of work to make creating a reflex system as easy as possible. We will continue to improve Simplified Scripting, so please submit your feedback to us (using the feedback form in the settings window). - A compass rose with highlighted exits can be enabled in settings. - Settings are now automatically saved every 2 minutes. - Settings interface improvements, including context-specific help links. - Substantial layout improvements for mobile devices. - Swipe support for mobile sidebar access. - Toggleable support for event notifications while the client doesn't have focus. - Exported settings now use the .nxs extension. - Many small bugfixes and improvements. Wow, the wiki is badass! I was curious why Withywindle was out and about, thank you. I don't think @Dortheron knew who he was. I hope not, because the conversation I had with him (you can see parts of it in the longer video) is a lot funnier that way. Wow that looks cool! Nice job. Only thing: I noticed that client.register_custom_tab isn't in the documentation. I don't know if that's intentional, but the function is clearly still in the client (thank goodness). I'm not sure if it's purposefully not there since you need to figure out a lot more than just that function to make a custom tab, but I thought I'd mention it since I've been making pretty heavy use of it and didn't see it in the docs. Great idea IRE guys. Simplified scripting might be the future. Big names like Unreal Engine and (not quite as big) Gamesalad and probably other companies are using it, sometimes in very advanced applications. These MUDs are a good place for such a thing. Thanks, I'll add it our feedback! So much love for this if we can easily get it to do what svo does. Anything that makes scripting open to everyone is awesome! I would suggest making a game-sponsored Client clan that people can join to ask questions etc, since you're already supporting the client. Fantastic work on the documentation! I appreciate the organization of the info, and the GMCP section, too. I'm still partial to Mudlet, but I figure the simple scripting on nexus is a giant step forward for increasing the accessibility of scripting. CLANHELP NEXUS has been around for quite a while now! Using it on an iPad, it looks beautiful. One catch though, it doesn't seem to recognize the iPad as a mobile device, no movement compass. Checked the settings and it is set for mobile, so that's not it. Admittedly I'm so used to the mudlet layout that I don't feel particularly comfortable trying to work with the reflexes part of the settings. It just my personal preference I guess, cause still feels really cramped to me since third party clients give you separate tabs for aliases, triggers and scripts. It's probably alleviated by the fact that most of these people would be using serverside curing and won't be setting up half as many triggers. That said, the layout continues to be beautifully sleek. I love how you've managed to fit so much relevant info in such limited space. serverside curing and won't be setting up half as many triggers. I've done more coding to set up proper serverside usage than I had to before it's release, since the client-side stuff usually was done for you. I'm unsure if the client can hold up well in real combat scenarios. I've ran into lag just walking through the rooms, let alone when the output is actually exploding. I'll be trying more as I get more comfortable with how to code in JS. I've also seen lag with the Nexus client that I haven't seen while using Mudlet, but I don't have any hard data on it, just perceptions. 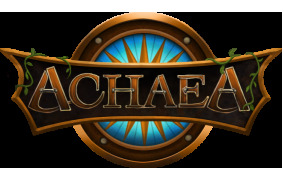 This version is now live at http://client.achaea.com (http://play.achaea.com http://nexus.achaea.com also work)! And when you get down to it even the fastest combat in Achaea while running a full system is a pretty trivial amount of string processing in modern CPU power terms. If there's any kind of hitching, it's almost certainly a bug, not a general performance problem. Maybe it's due to my latency. From the web-client, I get nearly double what my latency is on Mudlet. Moving room to room causes the Map to lag nearly a full second behind. Loading a full map image on every room kills me, tbh. Especially if I'm doing something that's split-second going to kill me. I have had pretty good use from the Nexus client using Firefox. As I am still learning I don't have any real scripts, just some aliases and some more buttons than the defaults but I have found that I only really experience lag when I am running some other labour intensive stuff on my PC as well (Heavy downloads etc). I like the client... haven't run into the lag issues others have mentioned, but I also don't have any scripts and am coming at it like a pure newb (oh wait...). I love the the visual... ness. It looks great. I'm used to mudlet, and zmud before that and just straight telnet before that. This is the kind of intro into a text based game that I would think draw and keep newer players to the genre. I both like, and don't like, the ability to click on the quests and have the little pop up that shows you whats going on. I like it for the quests, it's nice to be able to both look at that and type simultaneously. I just don't like the way.. it looks I guess? I think I just need to get used to it. I like that you can click on things within the scroll to bring up more scrolls. I can also say, for the particular city that I joined (from the website i think? I dunno... I just made my char)... that I've gotten little to no guidance from anyone. I was inducted into a clan, but I was not directed to read anything or do anything from that point. I was told if I have questions to ask on said clan, but other than that nothing. I know I should speak up and get attention and ask for help... but I was half testing the waters and my peers. When I get to need scripts I'll let you know..
OMG. My grove is in the basic tutorial video! So proud! Am I the only one that thinks the inventory window tab looks... odd, to say the least? EDIT: I'm not quite sure what it's meant to be. I think its some kind of display lag. For example, sometimes when I hit CW, I'll instantly get a large blank space that's the right size for the soon-to-come city who list, but it can take up to a quarter second or more to actually populate that blank space. I'll try to work on isolating some cause/effects and figure out what exactly is happening. This is pretty nice. I'm still epic struggling with setting up aliases though... but that's just me I'm sure. Had this setup been around when I first discovered Achaea about 10 years ago, I would be pretty dangerous right now heh.